The 2019 PaleyFest celebration concluded after hosting 14 panels honoring some of the biggest shows on television. Nearly a decade after PARKS AND RECREATION debuted, the cast and showrunner reunited for a panel celebrating the show’s legacy at PaleyFest. 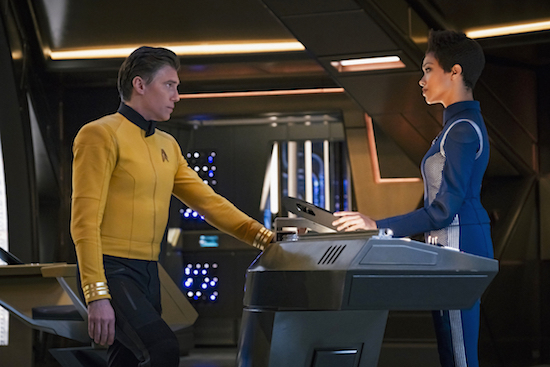 “Brother” — Episode 201– Pictured (l-r): Anson Mount as Captain Pike; Sonequa Martin-Green as Burnham of the CBS All Access series STAR TREK: DISCOVERY. Photo Cr: Jan Thijs/CBS ÃÂ©2018 CBS Interactive, Inc. All Rights Reserved. PaleyFest has solidified its 2019 lineup. In addition to the previously announced PARKS AND REC reunion, as well as FX’s POSE and NBC’s THIS IS US, the annual festival will be honoring awards darling THE MARVELOUS MRS. MAISEL, THE WALKING DEAD, GRACE AND FRANKIE, STAR TREK: DISCOVERY, the new TWILIGHT ZONE, the final seasons of JANE THE VIRGIN and CRAZY EX-GIRLFRIEND, and more. Tags: 9-1-1, 911, crazy ex-girlfriend, GRACE AND FRANKIE, Hawaii Five-O, jane the virgin, macgyver, Magnum PI, PaleyFest, PaleyFest 2019, PaleyFest 2019 Full Schedule, PaleyFest 2019 schedule, PaleyFest schedule, Parks & Recreation, Parks and Rec, Parks and Recreation, Pose, RuPaul's Drag Rce, star trek: discovery, STD, stephen colbert, THE MARVELOUS MRS. MAISEL, the twilight zone, The Walking Dead, this is us, TWD, What shows are coming to PaleyFest2019?, What shows are coming to PaleyFest? PARKS AND RECREATION said its goodbye on NBC last night — and how incredible was that episode?! — and after the hour aired, the entire cast appeared on LATE NIGHT WITH SETH MEYERS. 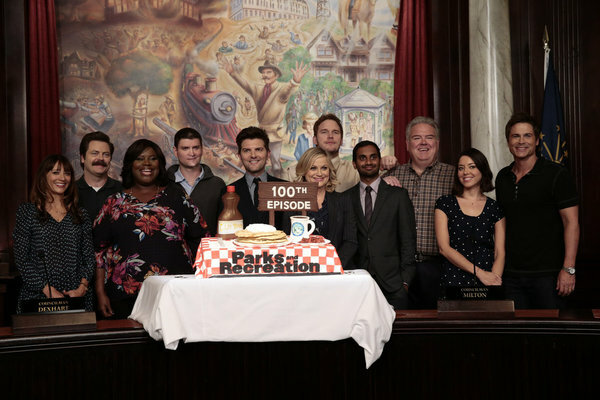 One hour series finale: The Parks gang completes one last task together, before saying goodbye to Pawnee. The PARKS AND RECREATION series finale is (sadly) around the corner, but the February 24th final episodes won’t be the last you see of the gang together: the entire cast has been booked for LATE NIGHT WITH SETH MEYERS the night of the NBC comedy’s series finale. Will you be watching the PARKS AND REC cast on LATE NIGHT post-PARKS AND REC’s series finale? The cast and producers of PARKS AND RECREATION are at TCA to celebrate the show’s final season. We’re less than one month away from the premiere of PARKS AND RECREATION’s final season, and the teaser for it focuses a lot on the three year time-jump the show underwent in the season finale last year. Want to see what’s in store? Check it out! Some bittersweet PARKS AND RECREATION news: NBC has set both its season premiere and series finale dates. 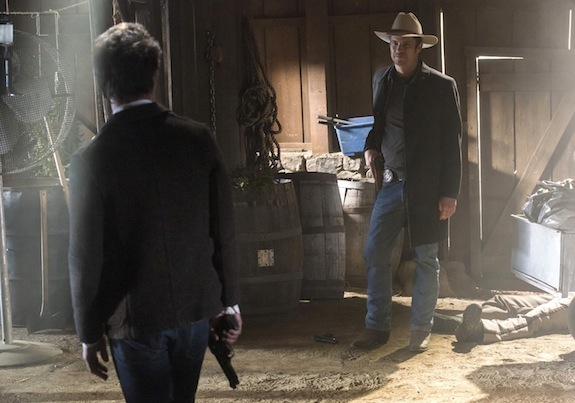 The final season will kick off on Tuesday, January 13th at 8 PM with back-to-back episodes. The show will continue that pattern until it concludes with an hour-long series finale on Tuesday, February 24th, following THE VOICE. Are you excited about PARKS AND REC’s final season getting a premiere date?